Just as Q is dominated by Queen, so it is with U and U2. Underworld did have a great track with Born Slippy, and UB40 were nothing to be ashamed of in their early days, but it gets tricky after that. Did Ultravox have more than one song? With a new album coming in 2014, U2 aren’t prepared to rely on their back catalog just yet, and there are few bands whose concerts can compare to a U2 experience. From humble beginnings in Dublin, over the last 35 years Bono, Edge, Adam and Larry have performed around 2000 concerts in over 30 countries. Fortunately for us, they show no sign of slowing down just yet. If every journey starts with a single step, every stadium filling band starts with an embarrassing video. For reasons unclear, there’s no shortage of confidence, and Bono clearly isn’t afraid of the camera. It would be a brave bet that this mob are destined to be the dominant band on the world stage for decades. Seven years, four albums, and countless hair stylists after their first steps on Irish TV, U2 were now not just sharing a stage with the biggest bands of the eighties, but stealing the show. Bono had long been dragging girls out of the crowd for some audience participation, but at Live Aid, the “grab” took longer than planned, causing Bad to be extended by five minutes. U2 may have missed out on playing their final scheduled song, but their performance to a global audience turned them into world superstars. The Eighties turned into the Nineties, and the acclaim turned into backlash. With references to Billie Holiday and Elvis, and performances by BB King and the Memphis Horns, Rattle and Hum was perceived as four Irishmen trying to teach the United States about their own music. U2 were forced into reinvention and the result was the stunning double-hit of Achtung Baby and Zooropa. The epic performances of desert songs where the streets had no names were replaced by electronica against a wall of TV screens and suspended Trabants. 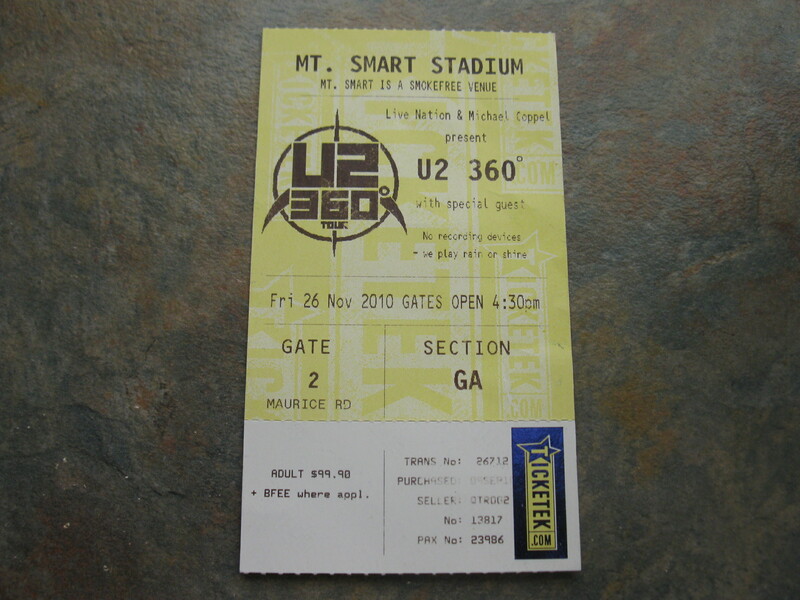 Between 2000 and 2009, U2 released three albums, all featuring a return to more traditional guitar-based rock, complete with singles that sounded written for stadium performance. Changes in the music industry were reflected in the decreasing album sales: “All That You Can’t Leave Behind” (2000) sold in excess of 12 million copies, while “No Line on the Horizon” (2009) sold around 5 million. 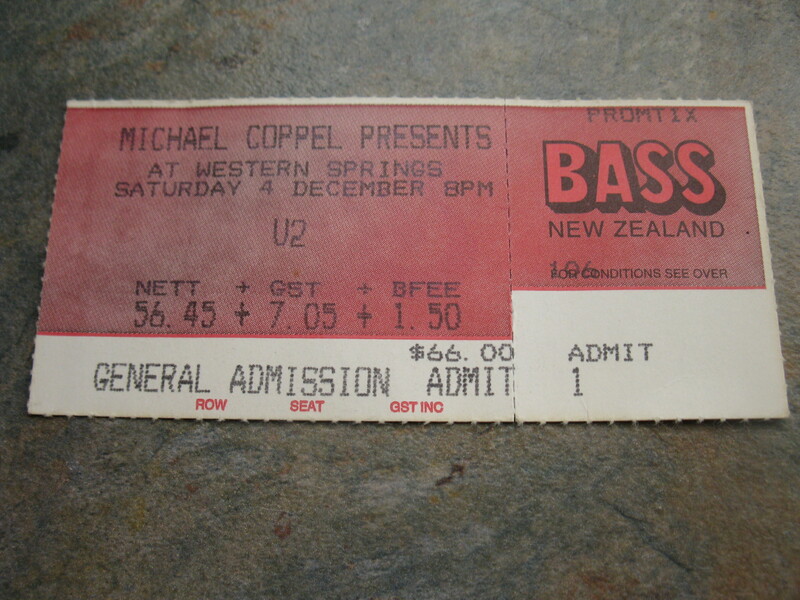 Touring became the primary source of earnings with U2 embarking on major tours after each album. 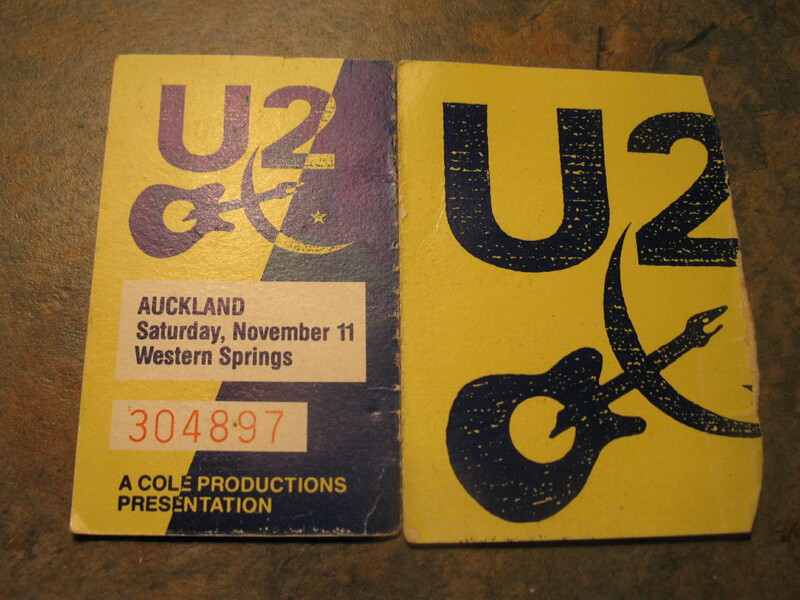 Whenever U2 visit New Zealand, they are expected to play “One Tree Hill”, a song written for a New Zealander who worked for the band as a roadie in the 1980s, and who died in a motorcycle accident in Dublin. “One Tree Hill” is a real place in central Auckland, very close to where I grew up, and my kids love being taken to the summit for 360 degree views over the city. The song is now rarely played outside New Zealand, so it has become Our Song. On 19 November 2010, an explosion in the Pike River Mine, northeast of Greymouth in New Zealand’s South Island, killed 29 people. 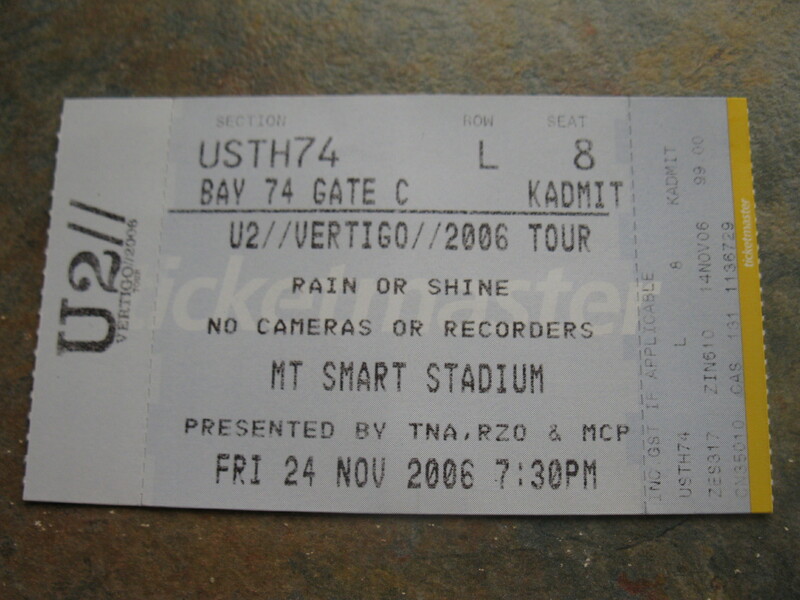 When U2 played in Auckland on 26 November, they included in their performance of “One Tree Hill” a tribute to the 29 miners, listing their names on the screen above the band. Being at that show, it was clear that the crowd was touched by this moving performance. This entry was posted in Music and tagged Adam Clayton, Bono, dublin, Edge, ireland, Larry Mullen, Live Aid, Street Mission, u2, Vertigo, ZooTV. Bookmark the permalink. possibly coming to an arena near you in 2015. Wow – great photos on your site!